January 03 : Janet Jackson and husband Wissam Al Mana welcomed their first child, a son, on Tuesday, Jan. 3, her rep confirms to PEOPLE exclusively. Many friends and family member congratulate Janet on social medias including LaToya, Joh Vonnie, Jimmy Jam, Gil Duldulao, Tony Martinez, TJ & Paris. January 15 : Death of Lawrence Jackson, Joe’s brother. He leaves behind him his beloved wife Michelle and their children and grand children. January 20 : Birth of Soltan Jackson, first child of Asa Soltan Rahmani and Jermaine Jr and first grand child of Jermaine & Hazel. January 22 : Katherine, Rebbie & Randy fly to London to visit Janet and her newborn son. January 24 : Janet is spotted shopping at upscale baby boutique Blue Almonds, in London. February 08 : Katherine & Rebbie are spotted in London while visiting Janet and her baby boy Eissa. February 09 : Katherine Jackson claims she was the victim of years of mental abuse at the hands of her nephew and driver, Trent Lamar Jackson, to the point where she is afraid to return to her home. A judge granted Jackson’s request for a restraining order and ordered her nephew to move out of her home and return all keys, passwords and combinations to the property. Jackson, 18, recently chose to end the relationship after less than a year, a source confirms to PEOPLE. February 13 : Prince celebrates his 20th birthday. Trent Jackson says his aunt Katherine flew to London on January 22 to see her youngest daughter, Janet Jackson, and her newborn son and he has not been in contact with her since she left. He also said he’s never been served with the restraining order and is still at the house. February 21 : Bigi celebrates his 15th birthday. February 23 : Katherine Jackson has filed legal paperwork to join a lawsuit against the executors of the King of Pop’s estate over a stake of ownership in the Michael Jackson Company.In the initial lawsuit, which has occupied the courts since 2013, former Jackson associates Broderick Morris, Qadree El-Amin, Adean King, and Raymone Bain claim that the singer promised them a combined 15-percent stake in his company. While Katherine Jackson has a 10-percent ownership and the role of officer in the Michael Jackson Company following her son’s 2009 death, in a motion filed to the California Superior Court in early-February, she asserts that important estate matters have been made without her input. The defendants, John Branca and John McClain, are the executors of Jackson’s estate. Lawyers for Branca did not immediately respond to a request for comment. An April 19th hearing has been set in Los Angeles to determine whether Katherine Jackson can become involved with the lawsuit. A judge granted Jackson’s request for a restraining order and ordered her nephew to move out of her home and return all keys, passwords and combinations to the property. A follow-up hearing has been scheduled for March 23. The same day, Gil tweets : “Do you know about the black……Ea…..gle…….”. In a new declaration — obtained by TMZ — Katherine says she’s in London because she’s scared to come home for fear Trent will now seek revenge on her. She says she’s now filled with stress and anxiety, and she’s now taking new meds to cope. March 28 : Katherine Jackson must leave her daughter Janet Jackson’s London home and take the witness stand in California if she wants her voice heard in her elder abuse battle with nephew Trent Jackson, a judge ruled Tuesday. It was the first day of testimony in her restraining order trial in Los Angeles County Superior Court, and Judge Rolf Treu said he wouldn’t accept a sworn statement from the King of Pop’s 86-year-old mom in place of her live appearance and cross-examination. March 30 : Katherine flies from London to L.A with Rebbie. She is taken to Rebbie’s house in order to avoid Trent & TJ at her Calabasas home. Randy stays in London with Janet to support her during her divorce proceedings from Wissam. April 07 : Janet invites Gil to London for his birthday. April 10 : Janet is spotted shopping in London the day after her separation from Wissam was made public. April 12 : Janet is spotted in London visiting a park with her baby boy Eissa. April 14 : Ticketmaster & Live Nation update their Unbreakable tour pages with new dates and a new name “State Of The World Tour”. April 15 : After 5 months of silence, Janet shares her very first picture with Eissa on her website and social medias (Twitter, Instagram, Facebook & Tumblr). The same day, Eissa is spotted in London with his dad Wissam. And the dates will become part of a new tour titled State Of The World, set to hit North America this October. ‘Last year’s incomplete Unbreakable World Tour is being revamped to become the State Of The World Tour and she is already scheduling summer rehearsals,’ the source added. April 25 : Janet attends Bruno Mars’ concert in Birmingham with brother Randy. Katherine files a request to dismiss the case against Trent without prejudice, however, L.A. County Superior Court Judge Rolf Michael Treu grants the dismissal with prejudice, preventing her from filing the restraining order again with the same evidence and allegations in the future. The judge does note that future conduct can be litigated. Katherine’s new lawyers, Nelson J. Handy and Vatche Zetjian, explained that Katherine didn’t understand the extent of the action brought about by the case when she initially filed the temporary restraining order request in February, and said that she was not prepared for a trial, or having to testify in court. As for the big announcement about her tour, which had been hyped by a countdown on her website, Jackson said she has changed its name to the State of the World tour and it will resume Sept. 7 at the Cajundome in Lafayette. Produced by Andrew Hewitt and Bill Silva Presents in association with Live Nation, the initial 56-city run will make multiple stops across the U.S. and Canada, with a final North America date scheduled for Dec. 17 at Philips Arena in in Atlanta. “It’s not about politics, it’s about people, the world, relationships and just love,” she said. May 4 : Janet is spotted shopping in London. May 13 : Katherine spends Mother’s Day at Rebbie’s house with Rebbie, Austin, Alejandra, Genevieve, Randy Jr, Donte, Jaafar & Jermajesty. She meets TJ at a local hotel. May 16 : Janet spends her 51st birthday in London with brother Randy and her son Eissa. May 31 : Janet Jackson is reportedly in talks with Netflix to do a fly-on-the-wall documentary series about her life after her divorce and her efforts as a new mother. “The show will run as a ten-part documentary and will feature recording sessions in the studio, co-parenting her child with Wissam and preparing for the European and Asian legs of her tour. Netflix [is] negotiating a big sum for the rights to the show as they expect it to perform well,” the source added. June 7 : Rebbie takes Katherine to see Austin’s gig in L.A.
June 16 : Janet & Wissam attend a hearing for their divorce at High Court in London. Randy is by her side. The Jacksons arrive in London. They reveal they haven’t met their new nephew Eissa yet but they will soon during their UK Summer Tour. In a new interview, Jimmy Jam reveals that Janet hasn’t recorded new music yet but everything is possible. They are currently brainstorming for the new tour. July 9/10 : Janet flies from London to New York City with baby Eissa, Joey & Tommy. July 16/17 : Janet is spotted in L.A with Eissa. July 18 : Janet is spotted having lunch with Preston & Robert in L.A. According to Entertainment Tonight : “Upon returning to L.A., the source adds that Jackson is working on the final preparations of her State of the World tour, which includes getting into performing shape! The source notes that the new mom has already lost over 65 pounds and is focused on a rigorous exercise routine and eating clean. “She will hit the stage with the passion and fire that her fans have come to expect from her when her tour starts on Sept. 7,” the source insists. July 21 : Janet & Gil attend Missy Elliot ‘s concert at the FYF Festival in L.A where they meet Beyonce, Solange & Katy Perry backstage. -July 31 : Rehearsals for the State Of The World Tour begin in L.A.
–August : Janet & Randy hire Jareiq “JQ” Kahara as President A&R of Rhythm Nation Entertainment. –August 7 : Week 2 of rehearsals for SOTW Tour in L.A.
August 9 : Janet & Gil take the Kids to Kendrick Lamar’s “Damn Tour” concert at the Staple Center of L.A.
–August 14 : Week 3 of rehearsals for SOTW Tour in L.A.
-August 15 : Janet films a video segment for the tour. Gil tweets : “WTF just happened, powerful moment, don’t think you’ve ever seen this side. I will forever remember tonight. The room. The studio. The Space. The music. Haunting. Magical. Duldulao’s challenge for State of the World was starting the show from scratch, this time with “free-r, stronger, more powerful, clean” choreography. –August 21 : Week 4 of rehearsals for SOTW Tour in L.A.
-August 24 : For the last day of rehearsals in L.A, Jimmy Jam visits the team. –August 26 : Gil & the Kids fly to Lafayette in Louisiana. –August 28 : Week 5 of rehearsals begin in Lafayette. –September 04 : Week 6 of rehearsals in Lafayette. -September 06 : Last run through. Janet makes a video statement to confirm the concert in Houston will take place despite the hurricane. September 07 : Opening night of the SOTW Tour at the Cajundome in Lafayette. Janet performs many songs for the first time including New Agenda, Black Eagle, Dammn Baby, Island Life, Spending Time With You and Well Traveled. The new show is more political and more intimate. A new Tour Book is on sale. Randy Jackson & Tyler Perry attend the show. -September 08 : Janet with her brother Randy and bodyguards Joey & Tommy, visit a shelter for the hurricane victims in Houston guided by Mayor Sylvester Turner. -September 09 : 2nd concert at the Toyota Center in Houston. -September 10 : 3rd concert at the Frank Erwin Center in Austin. -September 12 : Janet Jackson‘s older brother Steven Randall “Randy” Jackson claims that his sister suffered “verbal abuse” and felt like “a prisoner in her own home” during her marriage to London-based Qatari businessman Wissam Al Mana. The businessman’s attorneys issued a statement saying he will not be responding to the “particular and deeply hurtful allegations”. –September 13 : 4th concert at the AT&T Center in San Antonio. -September 14 : 5th concert at the American Airlines Center in Dallas. -September 16 : 6th concert in at the Verizon Arena in North Little Rock. –September 17 : 7th concert at the BOK Center in Tulsa. –September 19 : 8th concert at the Isleta Amphitheater in Albuquerque. –September 21 : Janet is spotted in L.A with Eissa, Gil, Preston, Joey & Tommy. 9th concert at the Talking Stick Resort Arena in Phoenix. –September 23 : Janet’s nephew Siggy Jackson gets married at Hayvenhurst. Many family members attend including, Jackie, his wife and twins, Brandi, Tito, TJ, Taryll, Taj, Prince, Paris, LaToya, Rebbie, Austin, Alejandra & Genevieve. Janet & Randy are not able to attend because of Janet’s concert in Anaheim. 10th concert at the Honda Center in Anaheim. Backstage, Janet meets Jimmy Jam & his wife Lisa, her brother Randy and the new president A&R of her Rhythm Nation label Jareiq Kahara. September 24 : 11th concert at the Save Mart Center in Fresno. September 26 : 12th concert at the Rogers Arena in Vancouver. September 27 : 13th concert at the Key Arena in Seattle. September 29 : 14th concert at the Moda Center in Portland. October 1 : 15th concert at the Grand Resort Sierra Theater in Reno. October 3 : 16th concert at the Golden 1 Center in Sacramento. October 6 : Janet has a reunion dinner in West Hollywood with her former dancers “The Kids” including Tina Landon, Kelly Konno, Tish Oliver etc..
October 7 : For the 20th anniversary of The Velvet Rope, Janet teams up with Spotify and posts a video message. 18th concert at the Valley View Casino Center in San Diego. October 8 : 19th concert at the Hollywood Bowl in Los Angeles. 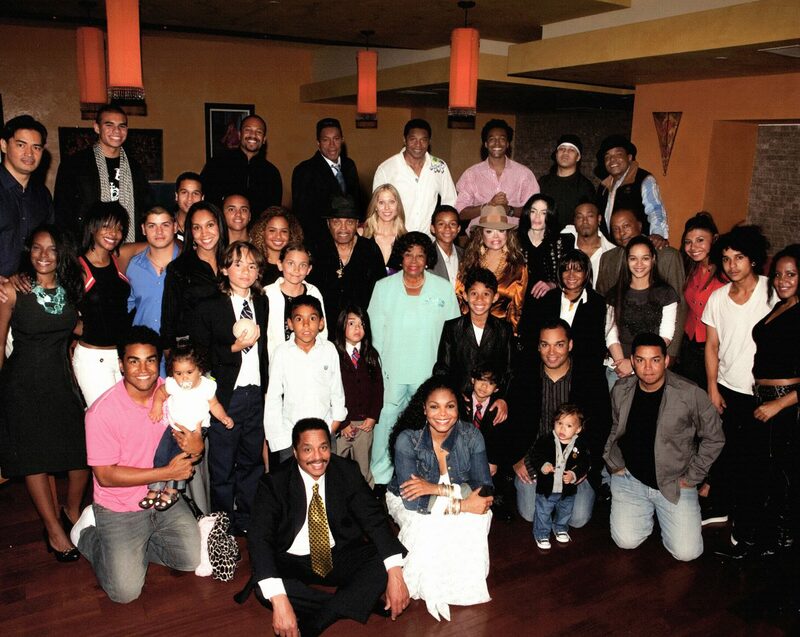 Many family & friends attend the show including Jimmy Jam, Katherine, Rebbie, Tito, Taryll, Taj & his wife, Jackie, Brandi, Siggy and his kids, Jermaine Jr & his wife Asa, Randy, Randy Jr & Genevieve. Janet performs Scream for the first time and during Rhythm Nation she invites all her former dancers from her previous tours including Terry Bixler, Tina Landon, Anthony Thomas, Kelly Konno, Tish Oliver, Nikki Panterburg, Gil & Whyley. Later that night she attends an official after party at the Lure Hollywood nightclub. Latoya, TJ, Prince & Paris do not attend the concert nor the after party. October 10 : Janet takes Eissa to his first trip to Disneyland Anaheim with Joey, Preston, Ciara and her son. October 13 : Janet attends the Magic Mike Show at the Hard Rock Hotel & Casino in Las Vegas. October 14 : 20h concert at the Mandalay Bay Events Center in Las Vegas. Joe Jackson attends the concert. October 16 : 21st concert at the Vivint Smart Home Arena in Salt Lake City. October 17 : 22nd concert at the Pepsi Center in Denver. October 19 : 23rd concert at the Sprint Center in Kansas City. October 21 : 24th concert at the Chaifetz Arena in Saint Louis. October 22 : 25th concert at the BMO Harris Bradley Center in Milwaukee. October 25 : 26th concert at iWireless Center in Moline. October 26 : 27th concert at Allstate Arena in Rosemont. October 27 : Janet & Randy visit their childhood home in Gary, Indiana and later they stop by the Roosevelt High Show and sit down for a Q&A with students & staff. October 28 : 28th concert at Huntington Center in Toledo. October 29 : 29th concert at in Detroit. After the concert Janet & the crew celebrate Randy’s 56th birthday. October 29-31 : Prince, Paris, Bigi, TJ, Taryll & Taj host Halloween parties at Hayvenhurst for Heal LA & the Dee Dee Foundation. Many family members attend them including, Austin, Brandi & Genevieve. October 31 : Janet celebrates Halloween dressed as Catwoman with the Kids. Katherine Jackson has started the process to legally resign as Blanket‘s guardian. 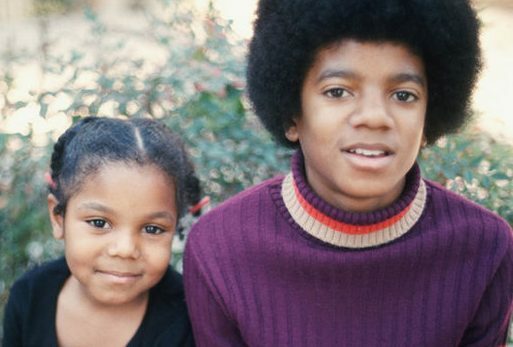 Back in Sept. 2012, Katherine and TJ Jackson were appointed co-guardians of the late Michael Jackson‘s three children. Prince Jackson and Paris Jackson are now over 18, while Blanket (real name Prince Michael Jackson II) is still only 15. In court documents filed by Katherine’s attorneys and obtained by E! News, it’s stated that Katherine is “no longer needed to fulfill the duties” that were needed back in 2012. The documents also say that given Katherine’s age, 87, and that Blanket is now 15, she “feels that TJ is able to assume all necessary responsibilities of the guardianship” for him. Katherine wants to resign, so long as TJ is sole guardian of Blanket. Documents also state that TJ wants to remain the sole guardian of Michael’s youngest child. November 1 : 30h concert at Van Andel Arena in Grand Rapids. November 2 : 31st concert at Air Canada Center in Toronto. November 4 : 32nd concert at Keybank Center in Buffalo. November 5 : 33rd concert at the TD Garden in Boston. November 7 : 34th concert at the Dunkin’ Donuts Center in Providence. November 8 : 35th concert at SNHU Arena in Manchester. November 9 : Janet attends the Out100 gala at the Altman Buiding in New York City where she is presented with the Icon Award. Her “Glam Team” (Janet Zeitoun, Preston Menses & Robert Behar) help her prepare for the event. November 10 : 36th concert at the Boardwalk Arena in Atlantic City. November 11 : 37th concert at the Sands Bethlehem Event Center in Bethlehem. November 13 : 38th concert at the Wells Fargo Center in Philadelphia. November 15 : 39th concert at the Barclays Center in Brooklyn. Janet also attends the official after party at the Blueprint club. November 16 : 40th concert at the Capital One Arena in Washington DC. Stevie Wonder attends the show and meets Janet backstage. November 18 : 41st concert at Royal Farms Arena the in Baltimore. Many family members attend the baby shower for Jourdynn’s wife Marike including Latoya, Alejandra, Genevieve, Donte, Randy Jr, Jaafar, Jermajesty, Jermaine Jr and his baby boy Soltan. November 19 : 42nd concert at the Prudential Center in Newark. November 23 : Janet spends Thanksgiving in NYC with Randy & Eissa. While Paris is with Austin in Paris, Prince is in Switzerland, Bigi with TJ and his family and Katherine with Rebbie. LaToya spends Thanksgiving at Quincy Jones’ home. November 25 : Janet is spotted in Central Park, NYC with Eissa, Joey & Tommy. November 26 : 43rd concert at the Banker Life Fieldhouse in Indianapolis. November 28 : 44th concert at the Schotteinstein Center in Colombus. November 29 : 45th concert at the PPG Paints Arena in Pittsburg. December : Birth of Bobbie Leroux Jackson, first child of Jourdynn & Marike. December 1 : 46th concert at the KFC Yum Center in Louisville. December 3 : 47h concert at the Quicken Loans Arena in Cleveland. December 4 : 48h concert at the Rupp Arena in Lexington. December 6 : 49h concert at the Fedex Forum in Memphis. December 7 : 50th concert at the Bridgestone Arena in Nashville. December 9 : Janet is spotted taking Eissa to Miami Beach with Joey. 51st concert at the Legacy Arena in Birmingham. December 10 : Janet & Randy attend a dinner with the whole SOTW crew to celebrate the upcoming end of the tour. December 11 : 52nd concert at the BB&T Center in Sunrise. December 12 : 53rd concert at the Jacksonville Arena in Jacksonville. December 14 : 54th concert at the Norfolk Scope in Norfolk. December 16 : 55th concert at the Colonial Life Arena in Columbia. December 17 : 56th concert at the Philips Arena in Atlanta. Janet performs the full setlist including Scream, Someone To Call My Lover and So Excited for the first time. Missy Elliott is a special guest on Burnitup. Janet attends the official after party with many guests including Missy, Samuel L Jackson and Jermaine Dupri. End of the first leg of the State Of The World Tour. December 21 + 24 : Janet is spotted in Miami with baby Eissa, Joey & Tommy. December 24/25 : Prince, Paris, Bigi, Omer, TJ, Frances, Royal, Dee Dee, Jojo et Rio spend Christmas together at the Aulani Disney Resort & Spa in Kapolei on the Hawaiian island of Oahu. Janet spends Christmas in Miami with Eissa. LaToya spends Christmas at Quincy Jones’ home. December 29 : Janet is spotted at the Miami airport with Eissa, heading back to London.